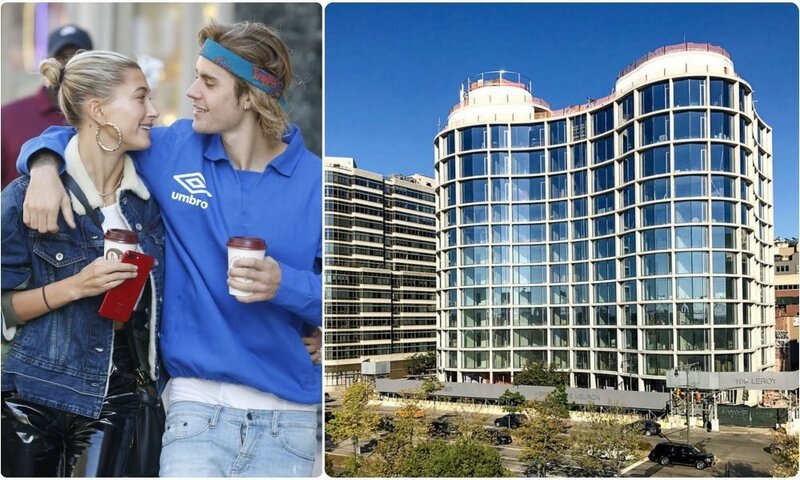 After a private wedding in September of 2018, Justin Bieber and Hailey Baldwin are reportedly shopping around Manhattan for their first apartment to rent as a married couple. See which expensive pad they’ve recently checked out, and find out which one they’ll finally make their love nest. One of the penthouses at the 160 Leroy condo building. All residential pads in the building were conceptualized by real estate developer Ian Schrager and designed by Herzog and DeMeuron. According to reports from the New York Post, the young couple was considering a 1,728-square-foot apartment on the seventh floor of an Ian Schrager condo building on Leroy Street in New York City’s West Village. Due to its fantastic location, renting a two-bedroom apartment there is set to cost somewhere between $15,000 to $17,000 a month. The cost is also justified by the units’ floor to ceiling windows which overlook the Hudson River waterfront and wide plank wooden floors. All apartments in the building also boast of an art gallery style entryway and a 200-square-foot patio. Still, sources say that Bieber and Baldwin haven’t made a final decision yet. 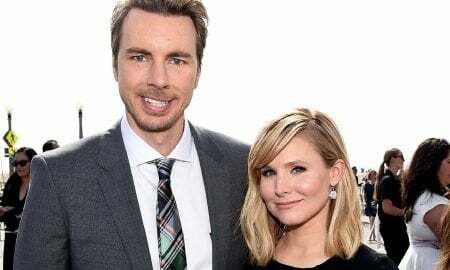 However, one of their main priorities is the privacy the apartment building and neighborhood will allow the celebrity couple. Bieber reportedly bought the property which sits on 101 acres of land for $5 million last year a month before marrying Baldwin. But Bieber and Baldwin can afford to take their time and mull over their decision. The 25-year-old musician and 22-year-old model are currently living full time in Bieber’s native home up north, Ontario, Canada. Their current living setup may have been a result of Bieber’s attempts at taking a break from music and the spotlight as he deals with mental health issues he has recently opened up about. The 9,000-square-feet, multi-million dollar mansion is the perfect country home with its scenic views of the Puslinch Lake and its very own equestrian facility. According to materials marketing the place, the mansion was custom-built for the pop star and features amenities like a home gym, a gaming room and a theater. Bieber also used to own a home in Calabasas, California which he bought when he was just 18. He has since sold the property for a hefty profit to fellow celebrity and Calabasas-resident Khloe Kardashian. 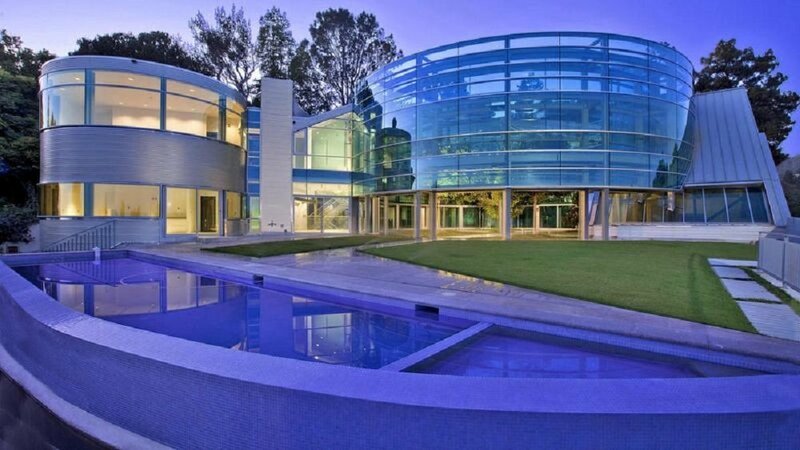 Bieber rented the all glass and steel Salad Spinner house after moving back to California. Before settling down with Baldwin, the musician was known for his notorious partying with his renting activities even reflecting this former lifestyle. He had previously rented a Southern California pad for $29,000 a month and turned it into a party house for his friends. It wasn’t hard to do seeing how the pad has its built-in nightclub, bars, elevators and neon decor. Over the years, Bieber would go around renting various places from Toluca Lake to London to accommodate his jet-set lifestyle. In the end, he would return to California to settle in a $55,000-a-month home in Beverly Hills before finally moving back to his home country.